Experience Ryo Hazuki’s story again, Shenmue I & II Remastered!! After a long wait, the official website for the anime adaption of Trinity Seven has announced that a second film is a-go. Character designer and chief animation director for the 2014 anime and 2017 anime film Shinpei Tomooka, drew a visual to celebrate the big news. Kenji Saito, one of the creators of the Trinity Seven manga along with Akinari Nao, is in disbelief that a second film is being made. However, Akinari Nao is thanking the fans who support their work. The July issue of Kadokawa’s Monthly Dragon Age revealed that Kenji Saito and Akinari Nao’s Trinity Seven manga would have a “super important announcement” in the magazine’s next issue on July 9. Trinity Seven debuted in Fujimi Shobo’s shōnen manga magazine Monthly Dragon Age since 2010 and collected in fifteen tankōbon volumes as of August 2016. The light novel adaption is being published by Kadokawa Shoten which released the first volume in 2014. The 12-episode anime adaption by Seven Arcs Picture aired between October and December 2014 and followed by the anime film, “Trinity Seven: The Eternal Library and the Alchemist Girl” that premiered February 25, 2017. Yen Press is publishing the English version of the manga series. 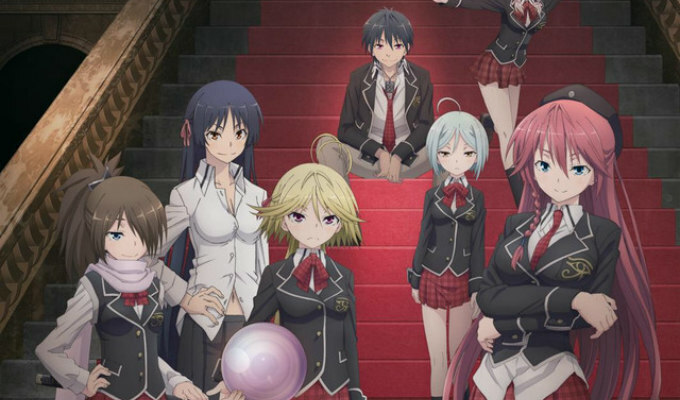 Trinity Seven and Trinity Seven the Movie: The Eternal Library and the Alchemist Girl are currently streaming on Crunchyroll.